Plants add vitality and liveliness to any space, and that’s the reason why homeowners have outdoor and indoor plants in their property. To nurture a plant you’ll need a planter, and yes, it is an integral part of any home décor. Planters come in all shapes, sizes, and choice of material giving the buyer a plethora of options. 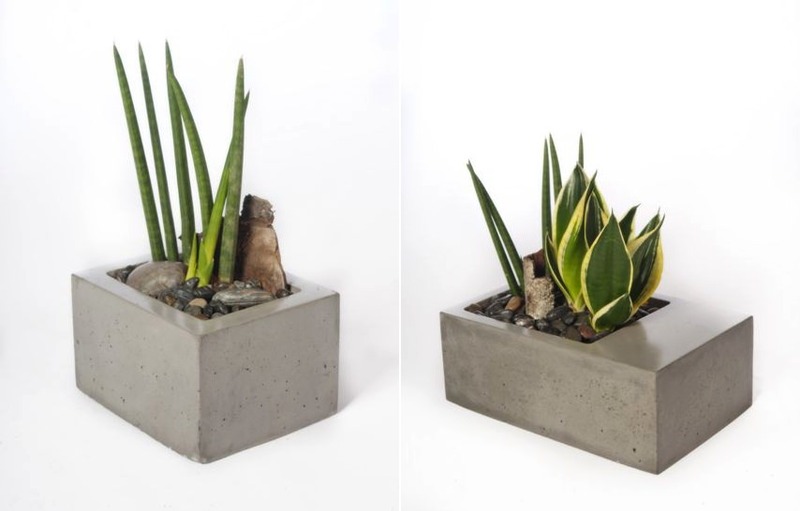 To make things easier for you, we have a collection of the best modern concrete planters which will add appeal to your space. 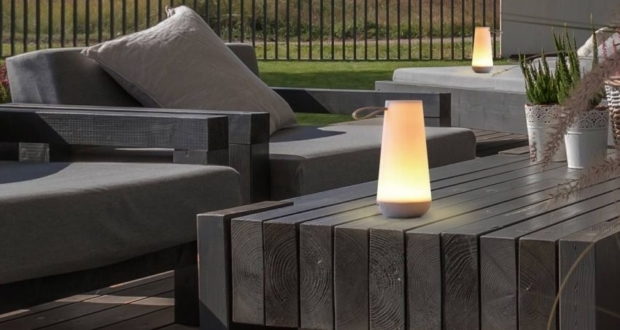 You can use them in your garden area, porch or any place indoors, depending on your personal preferences. 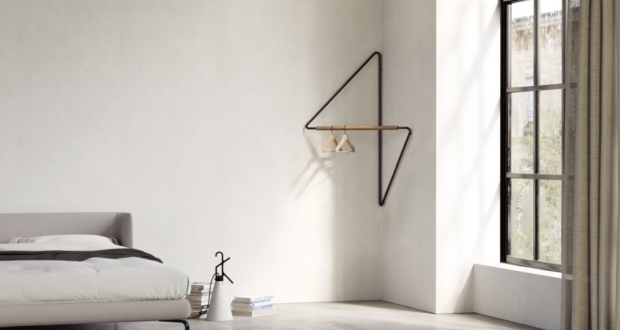 Those who are creative beasts will get an idea of how to use these concrete planters to match the décor scheme of their homes in the best way possible. So, let’s have a look at them and start imagining one of them resting in the corner of your house. 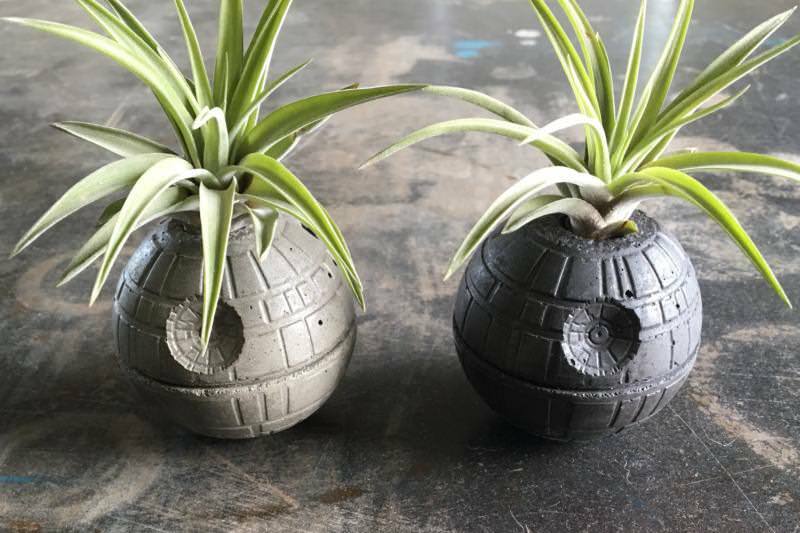 The unique looking Death Star concrete planter by Jessica Tyler Anson is handcrafted, and it’s perfect for your home or office. 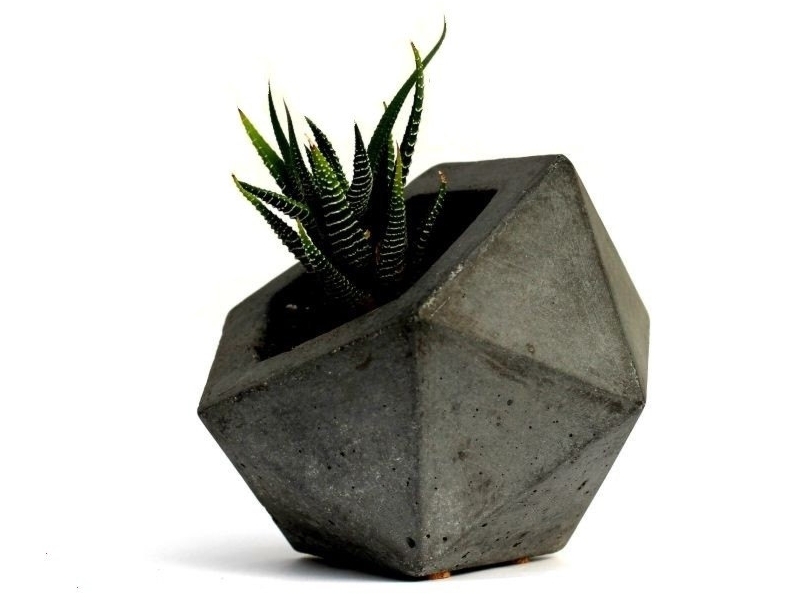 This concrete planter/pot by Henry & Future goes perfectly well with any kind of interiors or exteriors. 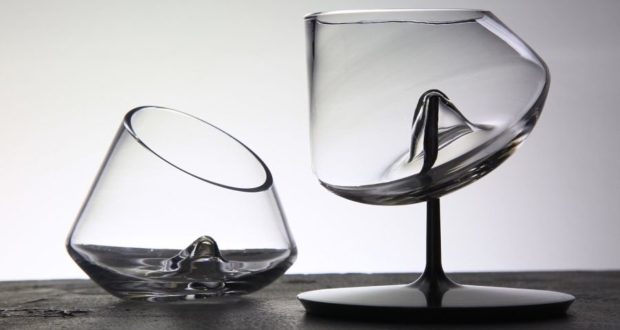 It has a geometric shape, which gives additional space for the roots to grow. Buying a planter is good, but making one yourself is even better. Just follow this guide and make a cool planter one for your home. 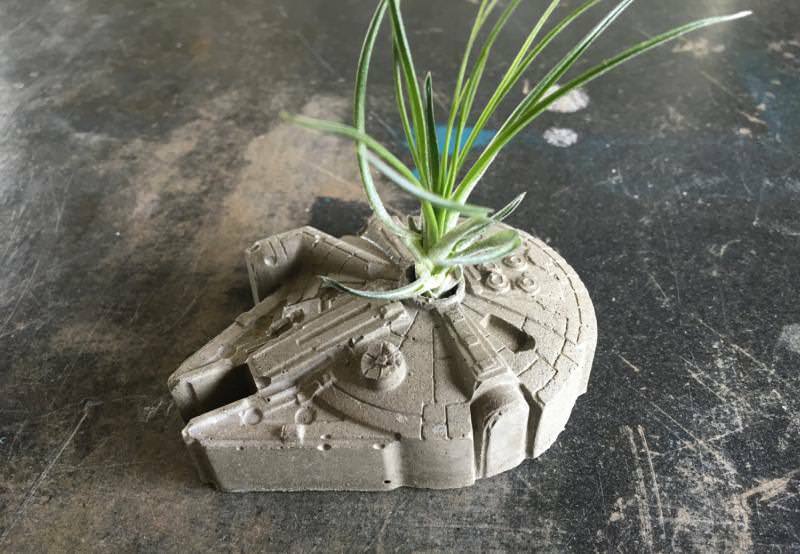 Millennium Falcon concrete planter is also designed by Jessica Tyler Anson and it comes in two color options: charcoal dyed or natural concrete. 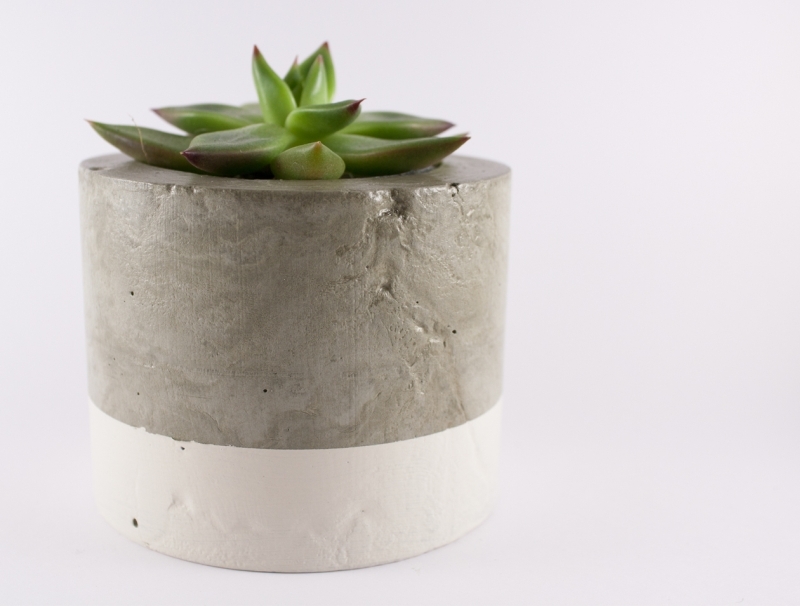 This concrete planter is made by dipping in paint and then finishing with a concrete sealer. 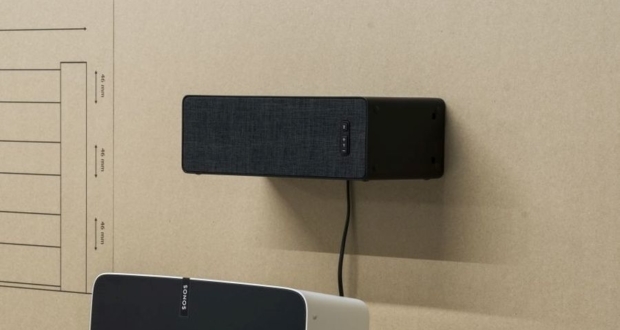 Another planter by Henry & Future that is ideal for modern homes. 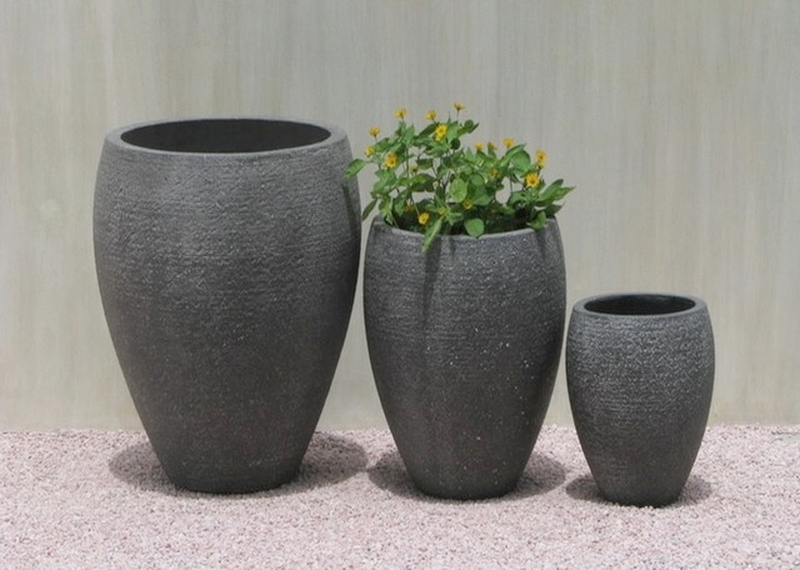 This textured planter comes in three different sizes: small, medium and large. This is Hoang Pottery’s take on what a garden planter should be like. It is also ideal for indoors and walkways. 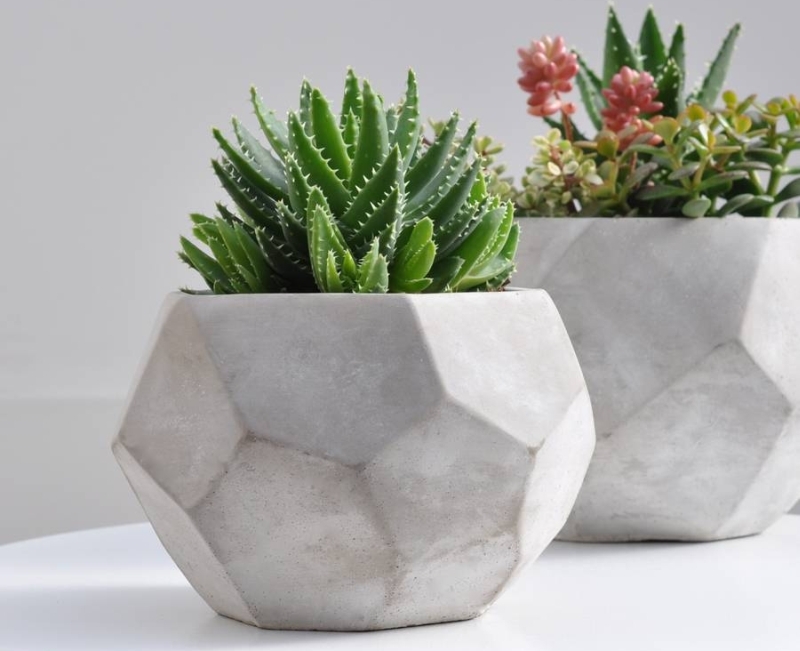 The Concrete Crinkle Plant Pot by Bells And Whistles Make is a handcrafted planter which will add depth to your indoors or garden. This simple yet attractive looking handmade tray planter by Robert Kulins adds style to your home. 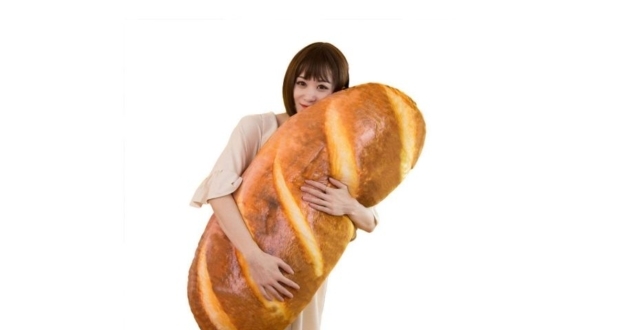 You can also gift it to someone you love. 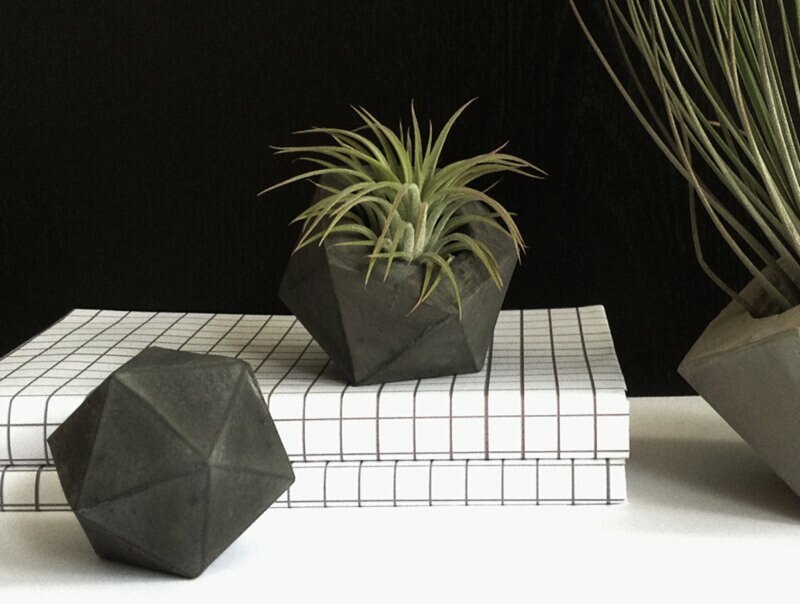 The Geodesic Concrete Planter is sealed with a satin sealer. You can buy it in dark or light color shade. 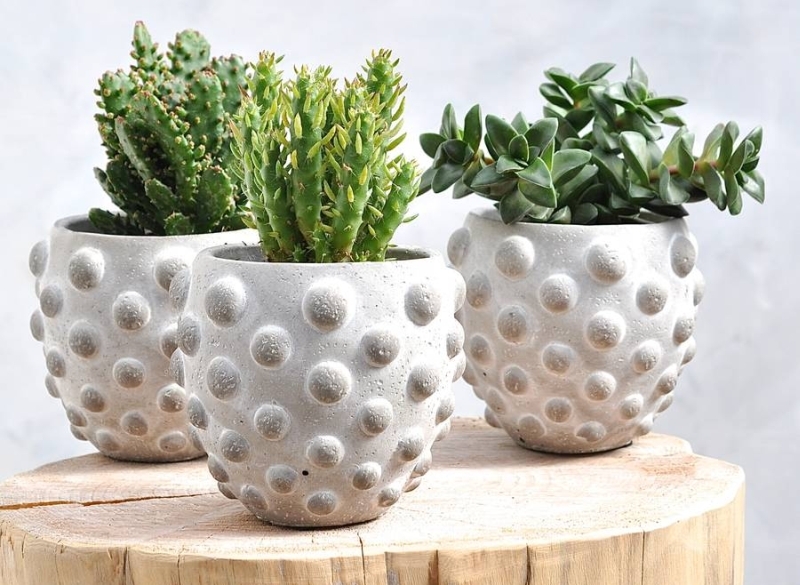 Made from cement, sand and concrete pigment, this planter is fit for any indoor or outdoor setting in home or office. 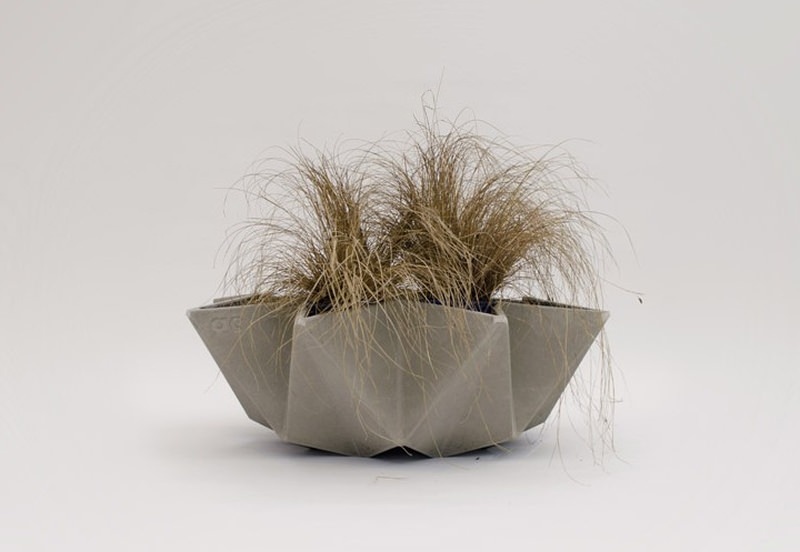 Ideal for small air plants, moss or other small plants; this planter has a unique shape. 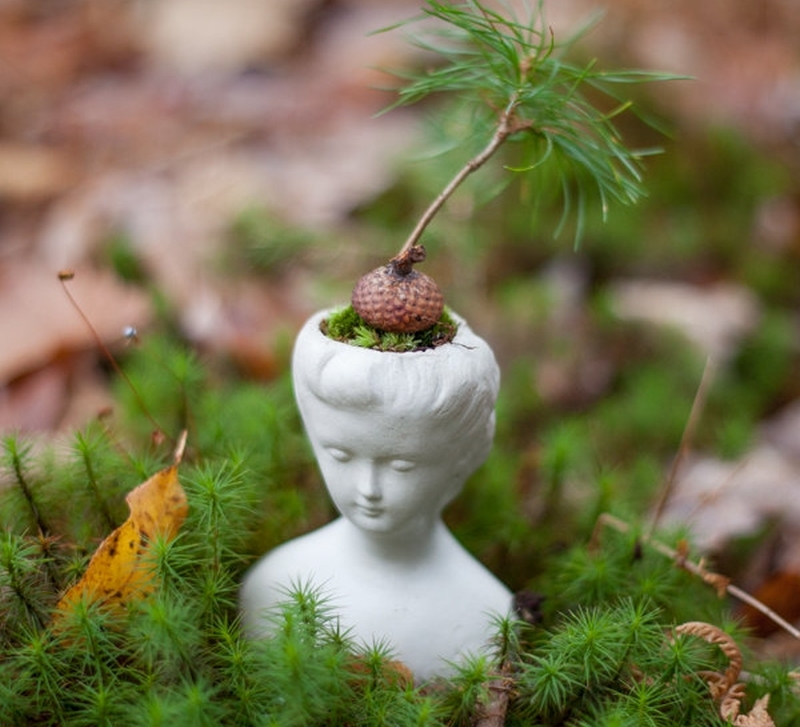 Although the size is quite small, it still is a cool planter for homes. If you want to add an industrial look to your home, go for the Concrete Pot Planter which is well suited for all kind of plants. 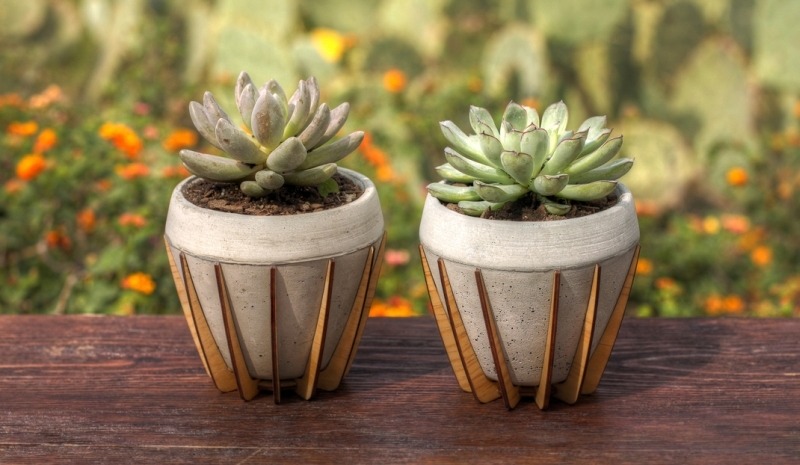 Standing out from the rest of the options for a home planter is the La Morena pot by Shift. 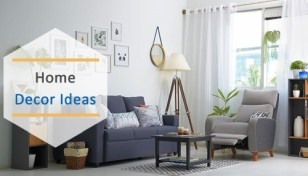 Having a very distinct style and appeal makes it a home décor item worth having. 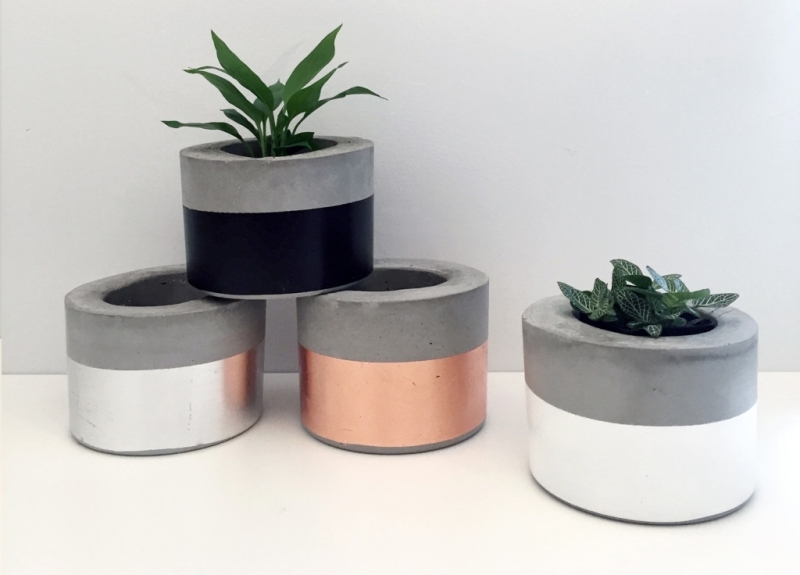 Crystal and Mitch aka the Design Twins have created this Marble Concrete Cup planters which also double as candle holders. 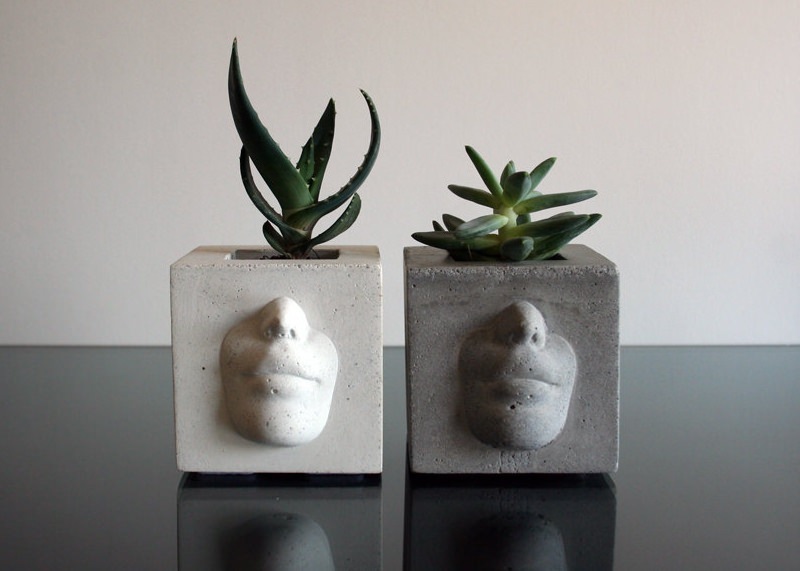 Canadian designer Kevin Wood has come up with a range of concrete planters fit for modern interiors. They are minimalistic and allow the plants to grow naturally. 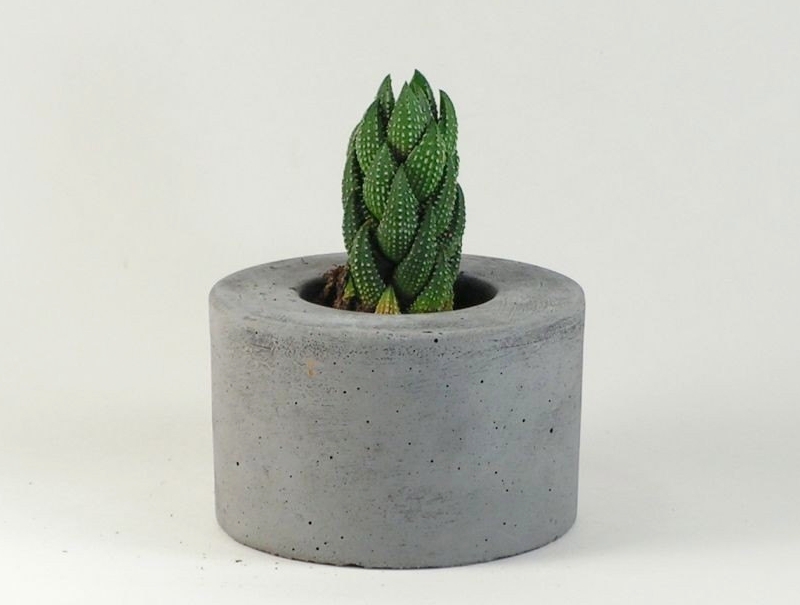 A beautiful concrete flower pot is designed by Kronen Bowl. This is one of those planters which is perfect for modern homes. This creative planter has a face on its side which gives it a cool look. 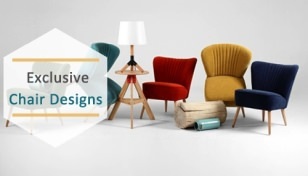 It is handcrafted and adds a unique look to interiors. Have a look at this stunningly designed planter for your home. 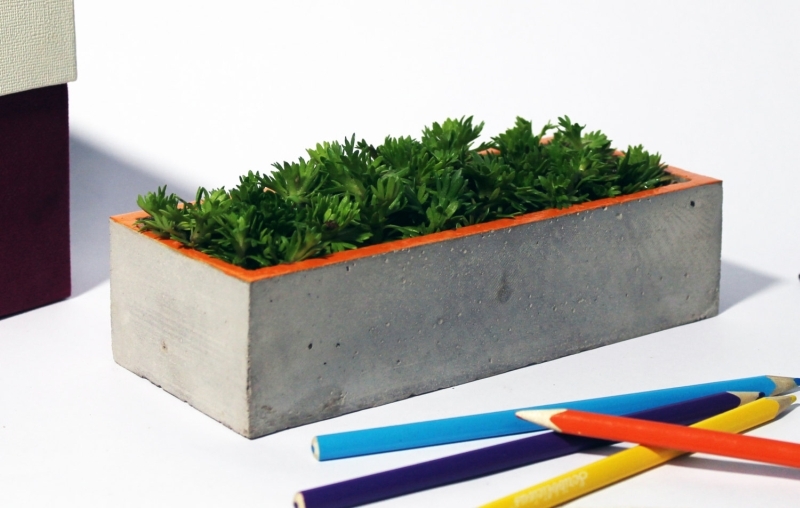 Planter Bricks designed by Real San Fratello is made using 3D printing technology. 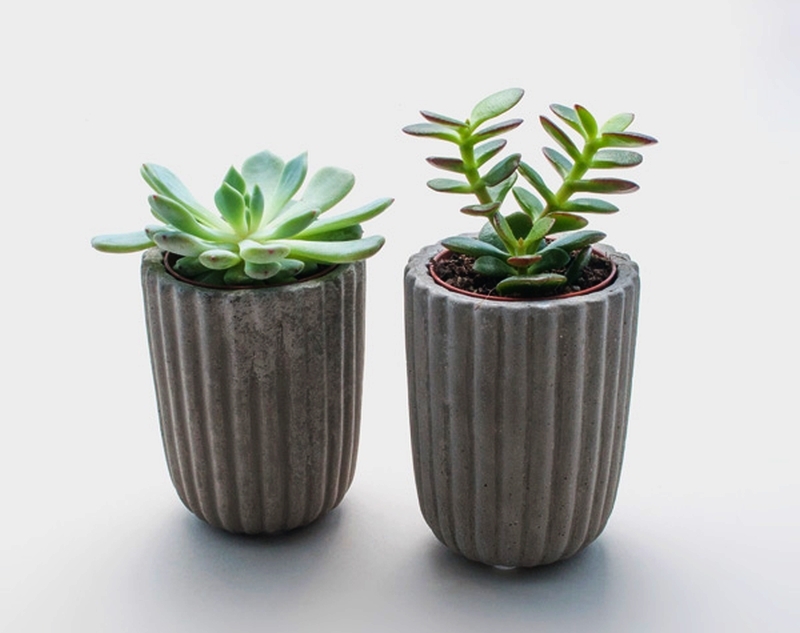 Concrete planters by Chinese Shenme Design aka designer Sun Xin is a modern accessory for any modern home setting. 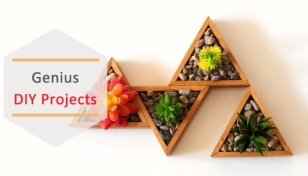 The icosahedron sculpture underlines the geometric elegance of the planter and makes a wonderful paperweight. 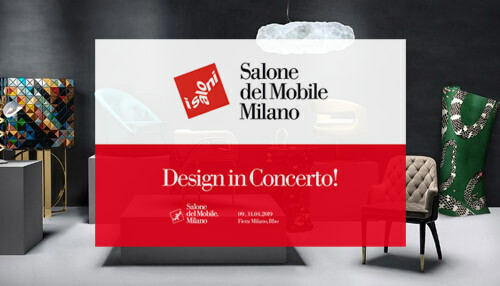 You can place it on your desk, sideboard, bedside or coffee table. 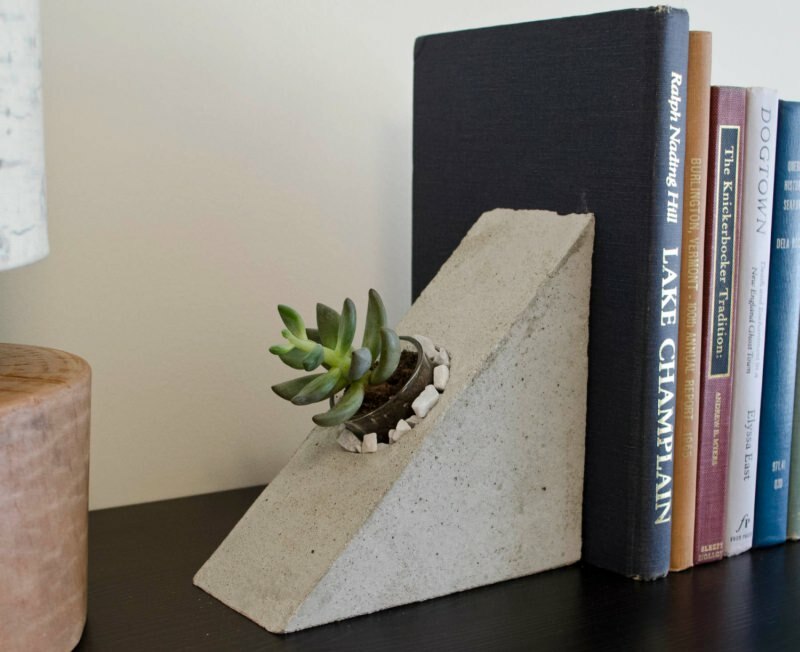 These concrete bookends are a great modern addition to your shelf! 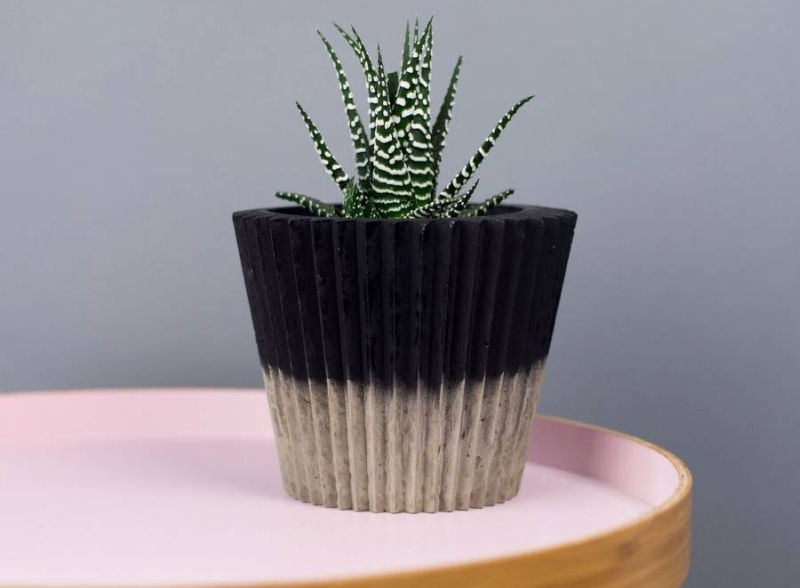 Great for succulents or air plants.